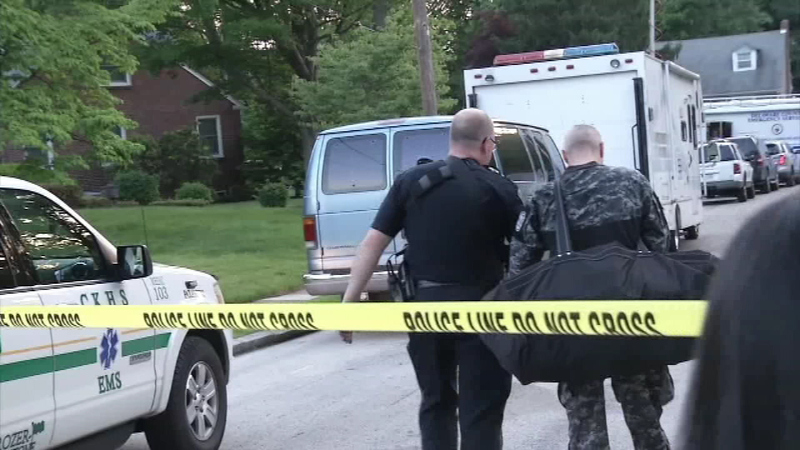 Delaware County SWAT responds to a barricade situation in Springfield, Pennsylvania. 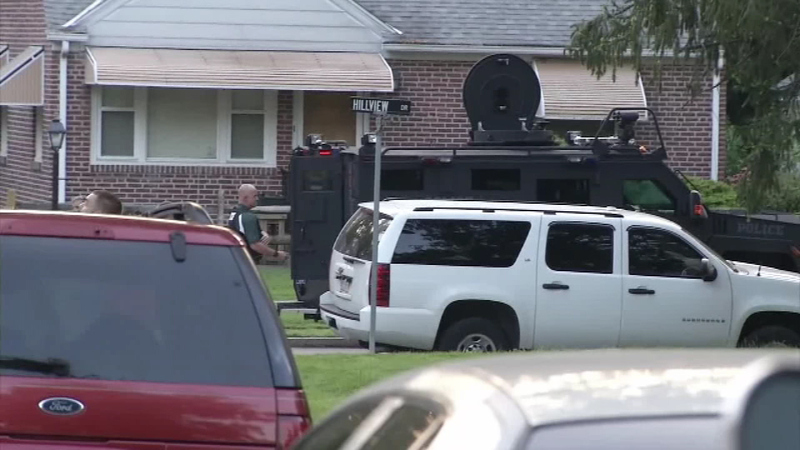 SPRINGFIELD, Pa. (WPVI) -- A man has been taken into police custody after a hours-long standoff in Springfield, Delaware County. 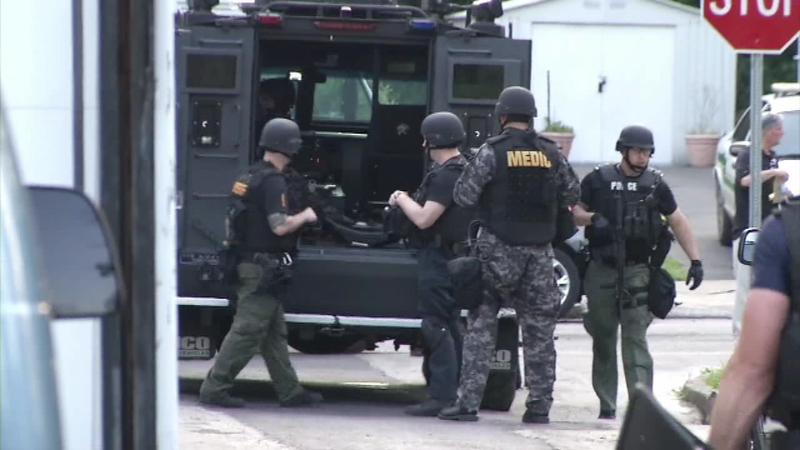 Delaware County SWAT responded around 6:30 p.m. Thursday in the unit block of Hillview and Wayne. 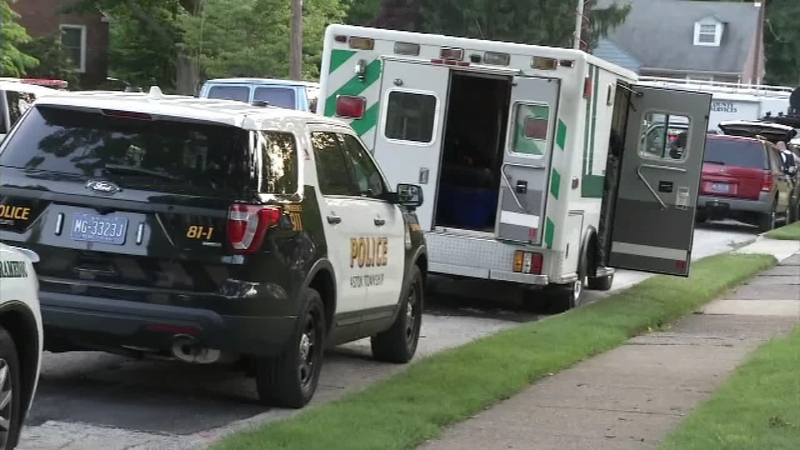 Three shots were reportedly fired at police by a heavily-armed man barricaded inside of a home. 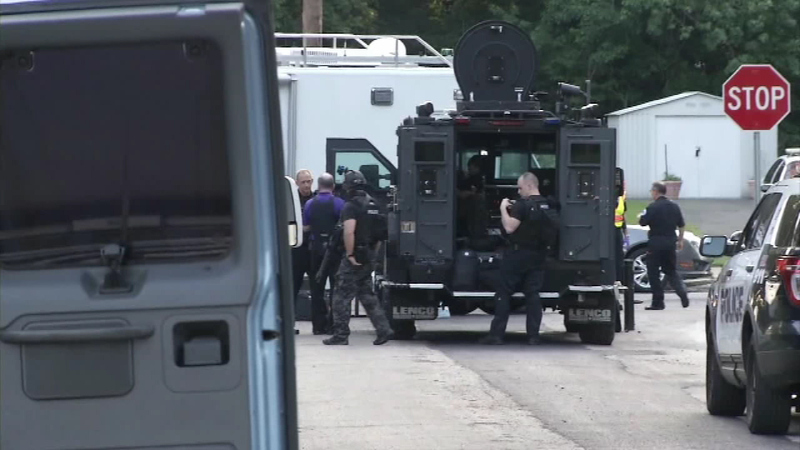 A man has been taken into police custody after a hours-long standoff in Springfield, Pennsylvania. Witnesses say the suspect was reportedly yelling at police to, "end him," and refused to come out of his home. A perimeter of about four blocks was set up around the home as the standoff continued into the night. 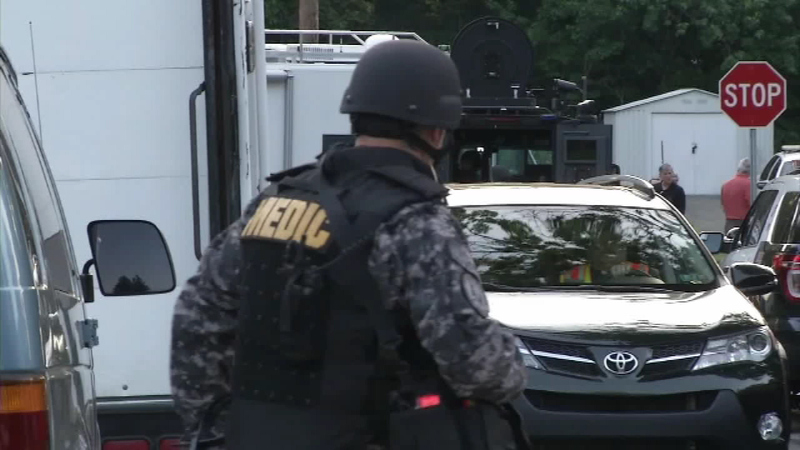 The standoff ended shortly after 10:30 p.m.
Police were able to maneuver a robot into the home, and later made entry where they tasered the suspect and took him into custody. 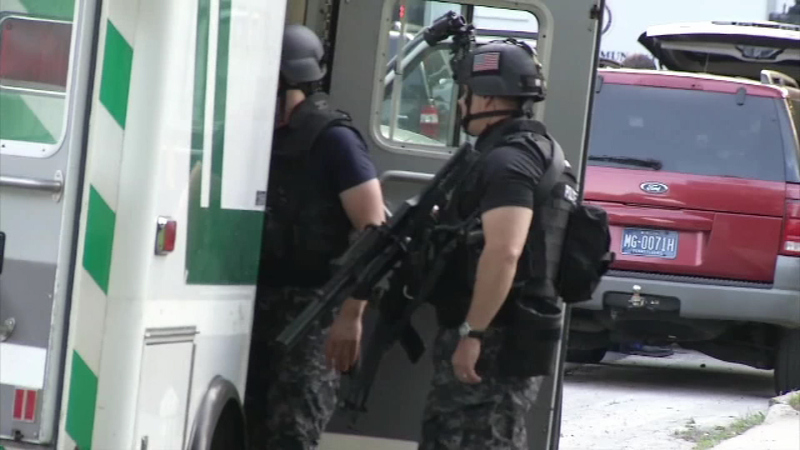 The suspect was taken to a local hospital for treatment. 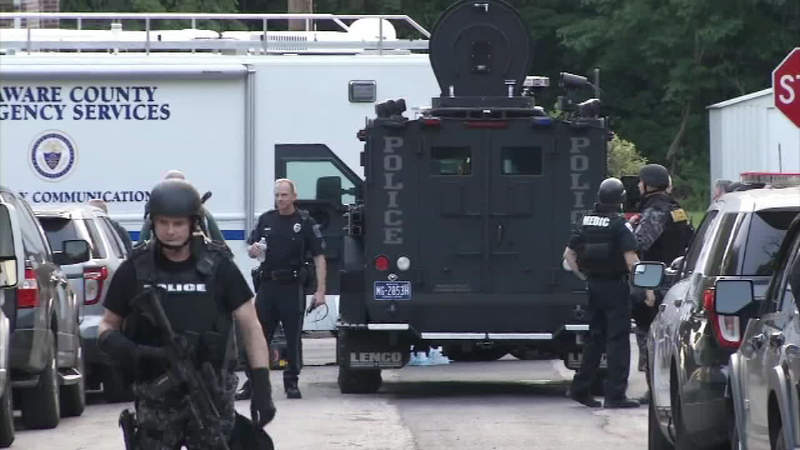 Residents tell Action News this type of police activity is unusual in their neighborhood. "A lot of cops flying by, SWAT teams, helicopters," said resident Tracy Cofroth. "That's how we knew it was something." "It's frightening," said resident Samantha Cofroth.